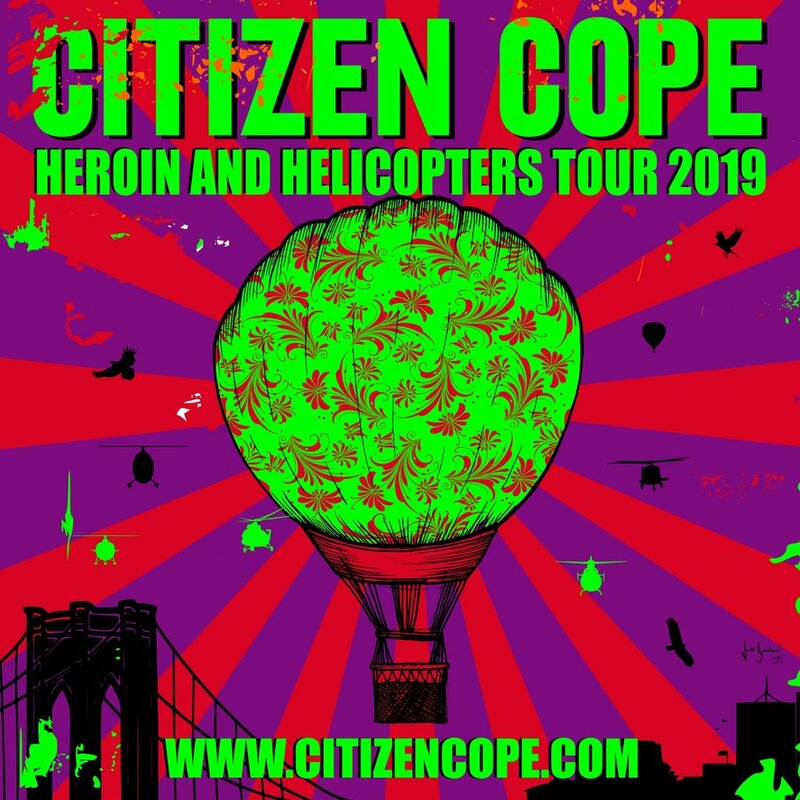 Citizen Cope has announced an extensive, rare full-band US tour in support of his first album in seven years, ‘Heroin And Helicopters,’ out March 1st on Rainwater Recordings/Thirty Tigers. The tour will include a special performance in NYC; a show at the Novo in Los Angeles, where Cope now lives; a return to his hometown venue DC’s, 9:30 Club; and more. Citizen Cope will kick off his 2019 tour on March 1st at Philadelphia’s Franklin Music Hall. Tickets for all dates go on sale on Friday, December 7th. Full tour routing below.